As I was walking my dogs yesterday, I began paying attention to the different lawn mowing techniques of my neighbors. This got me thinking about border lines and “zen and the art of lawn maintenance”. There is a saying that fences make good neighbors, but what about the green borders between yards which need to be mowed? Here’s what I have noticed. Some of us make the “friendly gesture”. That means we try to seem helpful or return a favor. On the days that I mow, I’ll go an extra 6″-12″ over the border to where the neighbor’s driveway is, so they don’t have to mow that side. Of course, if you do this you have to be careful not to make it seem like you are claiming those extra inches because that could ignite “the border dispute”. This can be seen when neighbors constantly overmow the area around the border in an effort to control it. 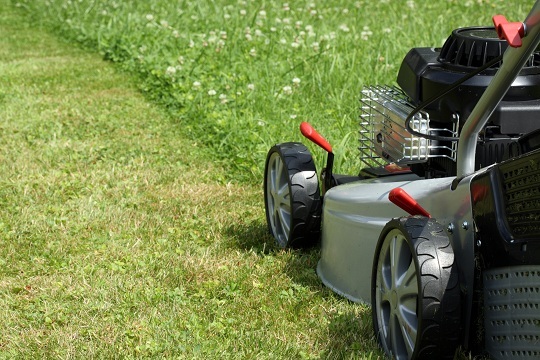 Another trend that we see is “the meticulous mower” vs. the “too busy to care mower”. The yard of the former is kept short and weed-free. Often there will be yellow flags up warning that pesticide has been used. The yard of the latter has long grass and often is full of dandelions, making for an obvious contrast in gardening styles. Is there a correlation between the yellow flowers in one yard and the yellow flags in the other? Probably and hopefully it is not a hostile one. 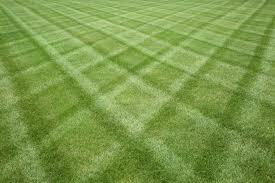 Lastly, there are the types of people who mow their lawns in a variety of patterns: on the diagonal, in a circle, like a checkerboard. Are they doing this because they are creative or bored, or do they just want to be different? I only want to get the job done, not turn it into a competition over whose lawn looks the most well-groomed. 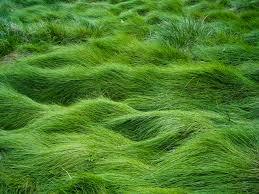 In fact, lately I have turned the position of chief lawn mower over to my son. For a fair wage he is happy to clear the yard of sticks, balls and dog droppings and cut the grass, including all the odd-shaped parts around the garden beds. The first time he did it he did not make the “friendly gesture” I previously mentioned. After I praised him for his hard work, I pointed this out to him. A few weeks later, my neighbor approached me about “the accident”. She was almost apologetic as she explained that she had recently seeded an area of her yard and my son had mowed it before it was ready. Ooops! The art of lawn maintenance sure gets complicated. 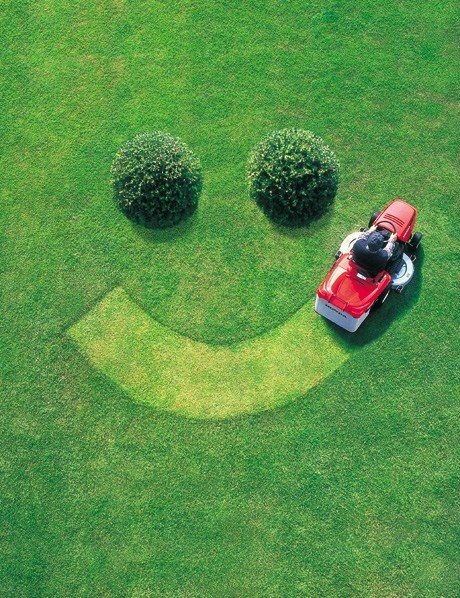 Here’s to mowing a fine line to keep the peace. They’re back! The American Robins who were lucky enough to survive their fledgling stage have returned to their birth nest and started their own family. It amazes me to think that year after year, from generation to generation, this same line of robins has returned to the exact spot on my front porch and laid yet another brood of eggs. At first we thought it was great to have them there; but then the parents became too protective and chirped shrill warnings at us to not sit on our porch and disturb their young. 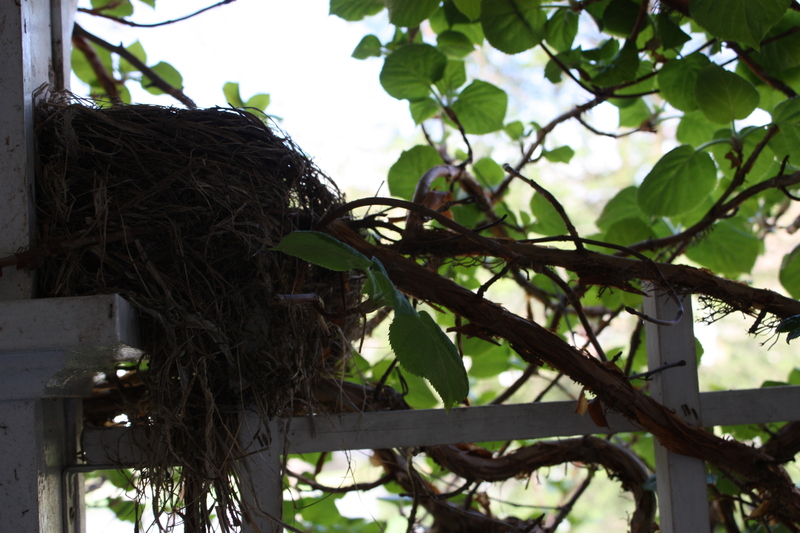 For a period of time we tried to take down the nest after they were gone, but it didn’t matter. They still came back and built a new one from scratch. 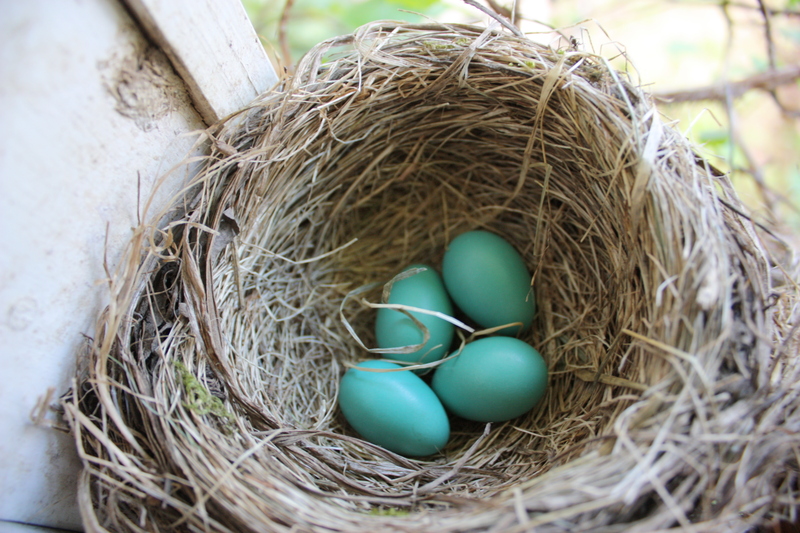 Now, years later, we have finally accepted the fact that this is where the robins need to be and have left their nest intact so they have less work to do upon their return. It is that time of year again and the mom and dad are taking turns warming the eggs and keeping strangers away. I wonder what instincts they have that reassure them they are in a safe place. Do they recollect their own beginnings? Do they associate this spot with comfort or security? And is that why they have come back to make their own nest? Whatever miracle of nature creates this pattern, year after year, certainly astounds me. It also causes reflection on my own brood, one of whom is near fledgling stage. She has made her college plans and in September will leave the comfort zone of her own suburban nest and begin her adult life at Boston University, a much larger and busier environment than she is used to. I am sure she will thrive in her new surrounds which will present her with all kinds of opportunities and interesting people. Yet how strong will her nesting instincts be? Will she see home as the place to come for a break from the bustle and stress of college life? Or will she be happy to be far away and on her own? Hopefully the answers to those questions are a little of each. Like the robins, we want our kids to keep coming back for visits or breaks but then go out and be successful in their own life adventures.